Erudio School of Art (ESoA) is an art & design school with international curriculum in Indonesia which aims to inspire the betterment of humanity through art education. 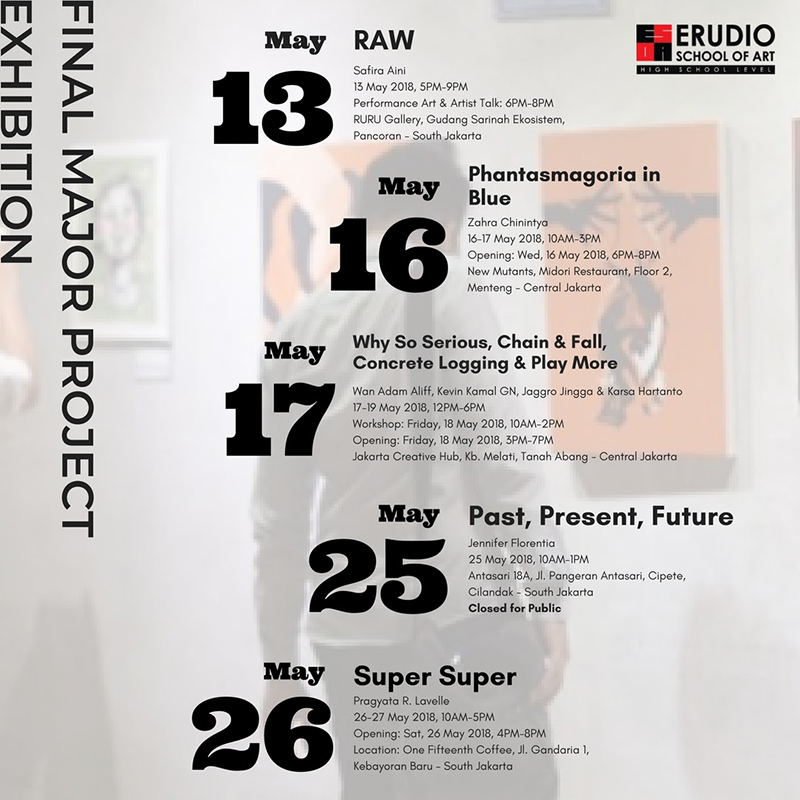 Through this letter, we would like to invite you to celebrate the journey that our Year 3 Student has been through this last 8 months by attending their Solo Final Major Project Exhibition on this April and May 2018. 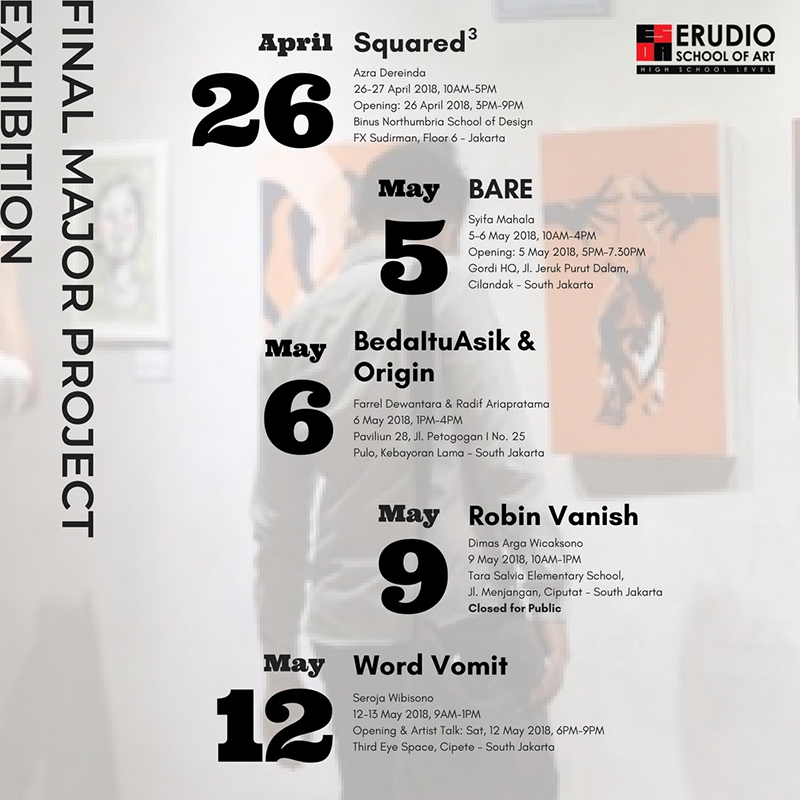 There are 10 exhibitions from 14 students that will be held until the end of May 2018. We are looking forward to meeting you on the exhibitions. Take your note and choose the date you could join. For futher information or confirm your attendance, please contact us at 021-75818703 or email us at info@esoa.sch.id. Also you can contact our personal officer Ms. Tyas Effendi 081298797867 for any question. See you!